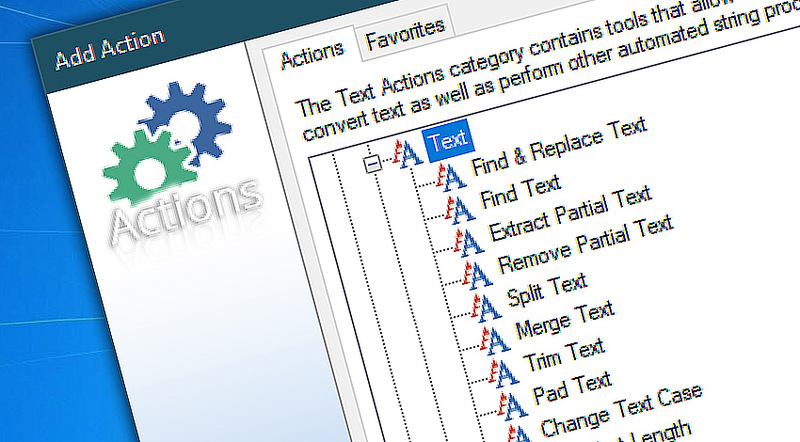 The Text category features Actions that can read, write, convert, transform, extract, split and perform other operations on various text strings from shortest words and sentences to large files with structured text data. Text data is an essential part of getting information from various sources such as your customers, colleagues, servers, etc. Oftentimes such data implies taking further steps and providing some response. 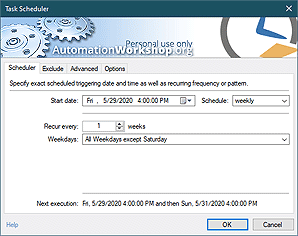 Usually, such text data can not be readily used in its entirety, but needs to be processed, so that the essential text elements are extracted and used for process automation. Automation Workshop Text Actions can process texts of various complexity to streamline workflows. Find and replace text is a powerful tool that can search a text string for specific values or regular expression and replace them with other text data. Find text searches for text string to find specific values or regular expressions and returns essential information on them that can bes used by other Actions. Extract partial text retrieves specified text from the beginning, middle or end of a longer text string and stores it as a Variable Wizard value for next Actions. Split text tokenizes text data into their elements and returns them as tokens one by one as Variable Wizard values. Merge text allows combining text from multiple sources and variables into a single string. Trim text cuts unnecessary characters from the leading or trailing end of the text string. Pad text adds extra characters to left or right side of the text string. Change text case converts the capitalization scheme of the text to lowercase, UPPERCASE or a few other common formats. Get text length retrieves text string length in characters. Convert list replaces delimiters (separator characters) of a text string with other delimiters. Find and replace text · specify text to find within a text string and what to replace it with. Find text · specify text to find within a text string and get information about it. Extract partial text · extract text from the text string. Split text · divide text string into tokens. Merge text · combine multiple texts and variables into a single text string. Trim text · remove unnecessary characters from the text string. Pad text · add extra characters on the leading or trailing end of the text string. Change text case · convert text capitalization scheme. Get text length · retrieve the text length in characters. Convert list · change text string delimiters. Thank you for the wonderful free software that makes my work much easier. —Linda F.